So, last week I brought you a Chocolate Chip Cheesecake made in my slow cooker and this week I am bringing you a Sour Cream Cheesecake. The recipes are quite similar, but, I actually preferred this cheesecake a little more. As I mentioned last week, I wasn’t too keen on the chocolate chips in the cheesecake. I began by making a graham cracker crust. I pressed the crumbs onto the bottom and slightly up the sides of a 6-inch springform pan. Next I made the filling by beating together the ingredients for the cheesecake. Quick not, the recipe called for almond extract, but, if you are not a fan of almond extract feel free to substitute vanilla extract in its place. After making the batter I poured it into my prepared pan and then placed the pan in my slow cooker on top of a rack and filled it with a 1/2 inch of water. After cooking it on high for 2 hours I turned my slow cooker off and let the cheesecake stay in the slow cooker covered for an hour. Afterwards, I let the cheesecake cool completely on wire rack before placing in the refrigerator to chill before slicing and enjoying. In a medium bowl mix the graham cracker crumbs, the melted butter, cinnamon, a tablespoon of sugar and a pinch of salt. Press the crumbs over the bottom and slightly up the sides of a 6-inch springform pan. Using a stand mixer or a handheld mixer beat the cream cheese with the flour, remaining sugar, and a 1/4 teaspoon salt on medium-high speed until smooth, about 2 minutes. Add the eggs and almond extract and beat at medium speed until blended. Add the sour cream and beat until smooth. Pour into the prepared pan. Place a rack inside the insert of your slow cooker and fill with a 1/2 inch of water. Place the pan on top of the rack and cover the slow cooker and cook on high for 2 hours. 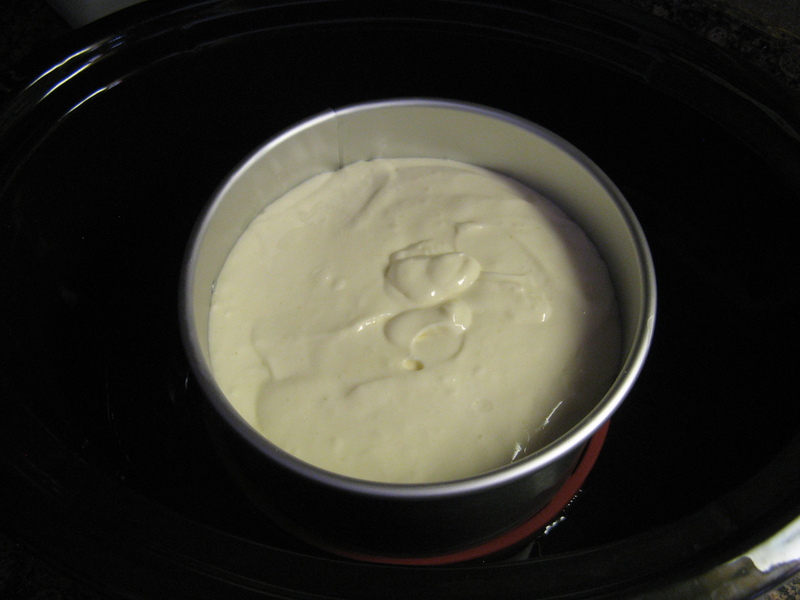 Turn the slow cooker off and keeping the lid on let the cheesecake cool inside of the slow cooker. 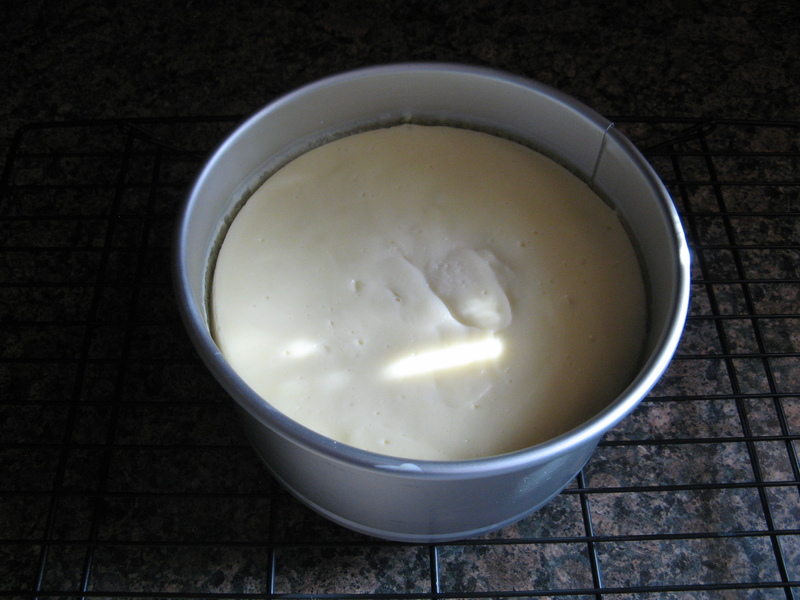 After an hour, remove the cheesecake and cool completely on a wire rack. Once cooled refrigerate at least four hours before serving.